Product code: Q744 Categories: Sold Items, Sold Rings. Here is a very elegant hand made ring perfect for any finger as well as making a superb sapphire and diamond engagement ring. The design is so traditional with the sapphire in the middle with the diamonds on each side making this ring sit so well on the finger. All hand made in 18ct yellow gold and platinum in the 1930’s, this sapphire and diamond ring measures 11.05mm across from diamond to diamond by 5.65mm wide at the sapphire making this such an easy ring to wear all the time and get the admiration it deserves. The diamonds on each side total 0.14 carats and the sapphire 0.55 carats and it has such a magnificent pure blue colour to it that matches so well with the gold, platinum and diamonds. 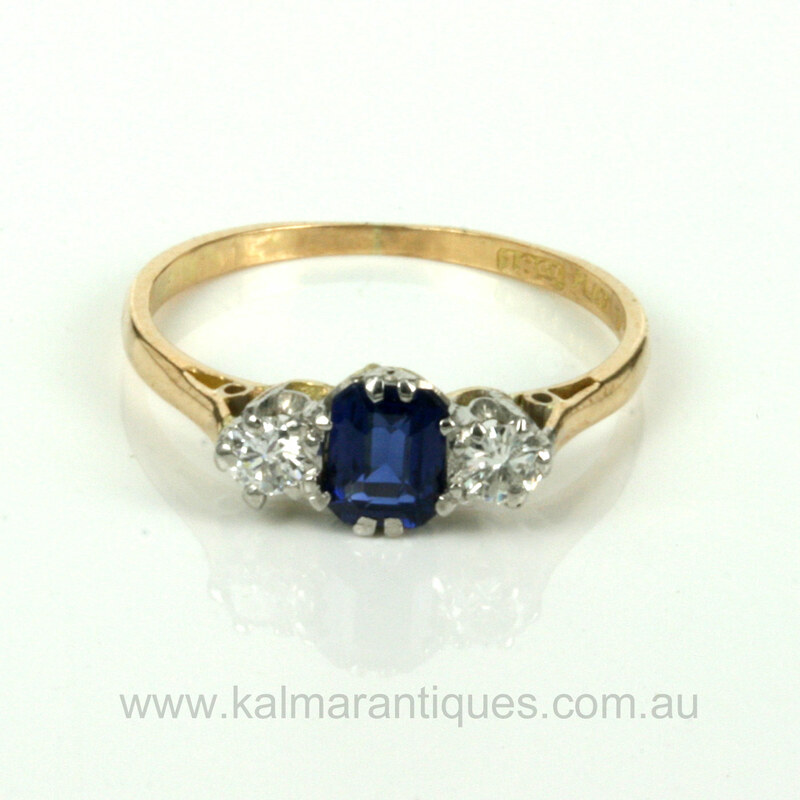 There is nothing quite like the charm and character of an antique or vintage engagement ring on your finger, and this sapphire and diamond engagement ring has all the charm and character that will make you fall so easily in love with it.